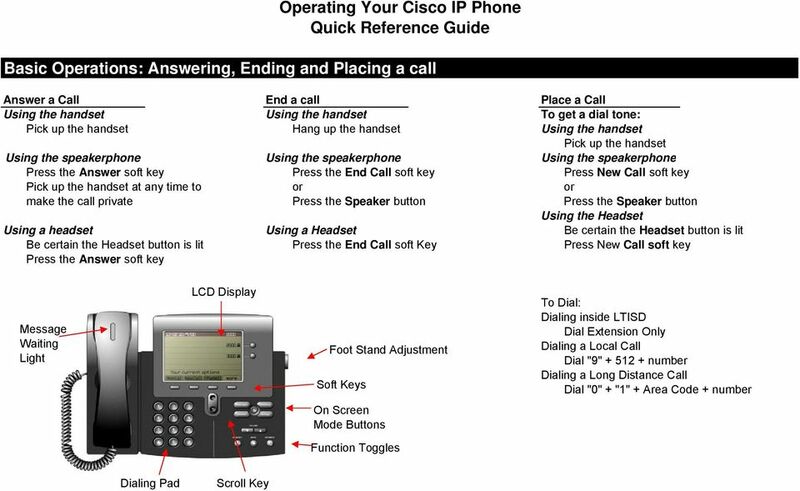 Download "Operating Your Cisco IP Phone Quick Reference Guide. 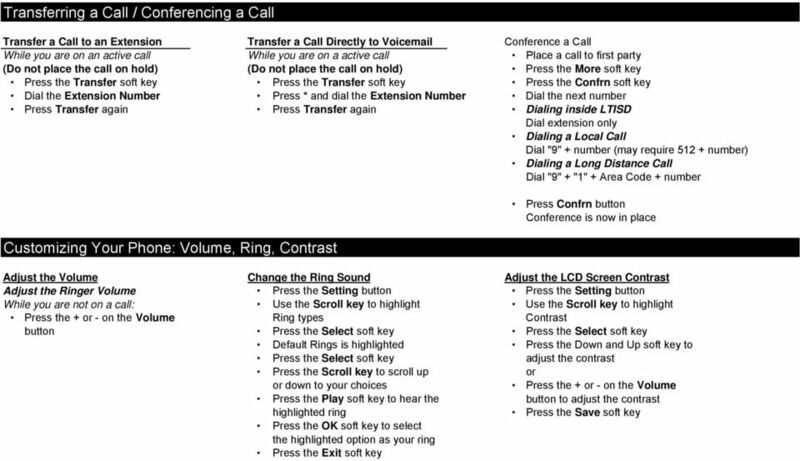 Basic Operations: Answering, Ending and Placing a call"
6 Setting Up Voic for the First Time Setting up Voic for the First Time From your phone Pick up the handset, press the Speaker button, or press the New Call soft key for dial tone Press the Messages button Enter your password, followed by #. 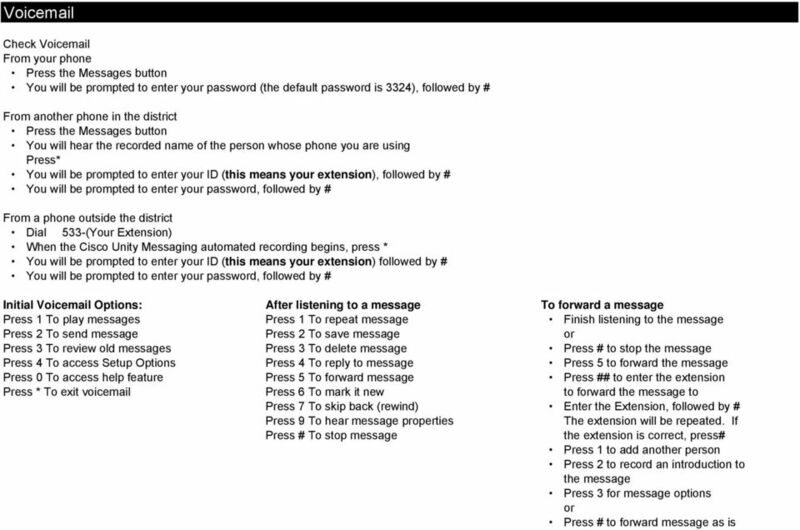 When setting up voic for the first time, use the default password 2580 Record your name Press # to accept your recorded name, or press 1 to rerecord your name. 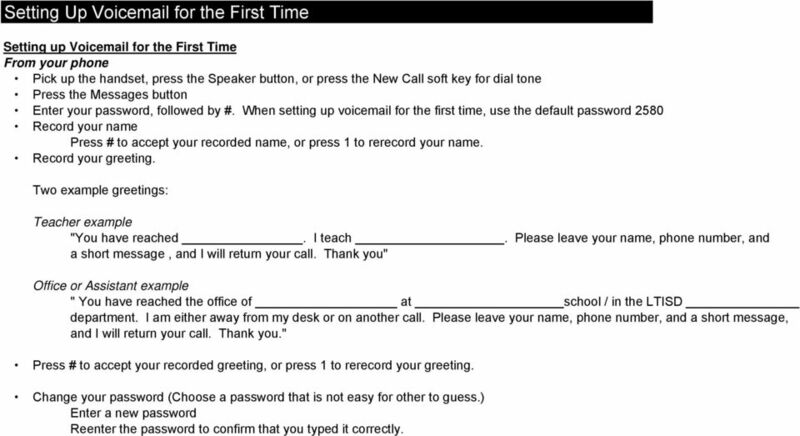 Record your greeting. Two example greetings: Teacher example "You have reached. I teach. Please leave your name, phone number, and a short message, and I will return your call. Thank you" Office or Assistant example " You have reached the office of at school / in the LTISD department. I am either away from my desk or on another call. Please leave your name, phone number, and a short message, and I will return your call. Thank you." Press # to accept your recorded greeting, or press 1 to rerecord your greeting. Change your password (Choose a password that is not easy for other to guess.) Enter a new password Reenter the password to confirm that you typed it correctly. Cisco 7962 IP Phone Quick Reference Guide Table of Contents 1. 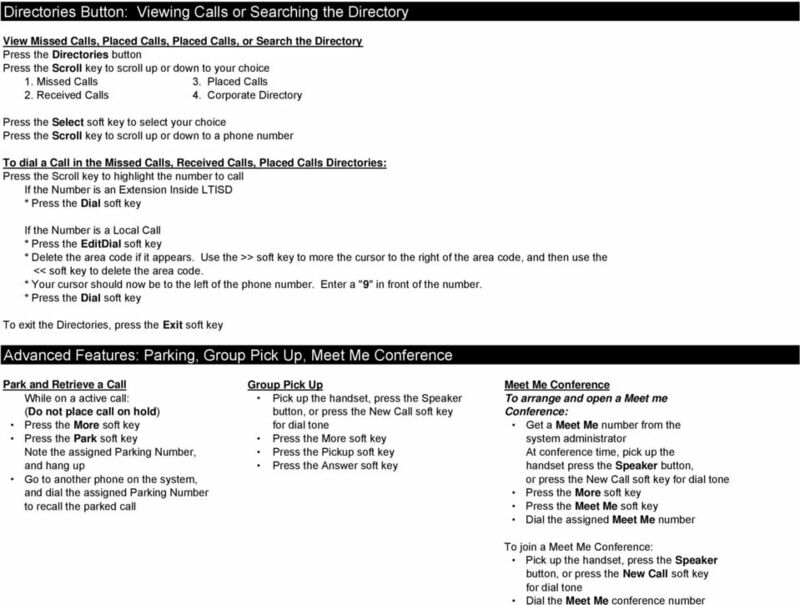 Overview of Cisco 7962 IP Phone 2. How do I? o place a call? o dial an internal extension? o put a call on hold? o transfer a call to an extension? 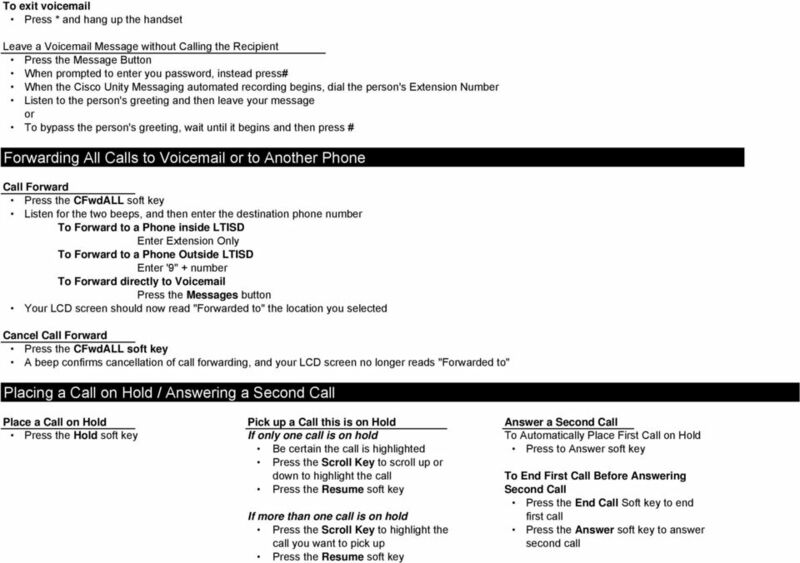 TELEPHONE & VOICEMAIL USER GUIDE 9641 HANDSET Version 2 These icons are displayed on the phone screen: Ringing indicates an incoming call is arriving on this line. Active indicates the line is in use.